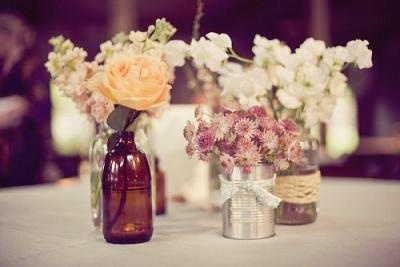 Wedding Centerpieces The Affairs girls LOVE! 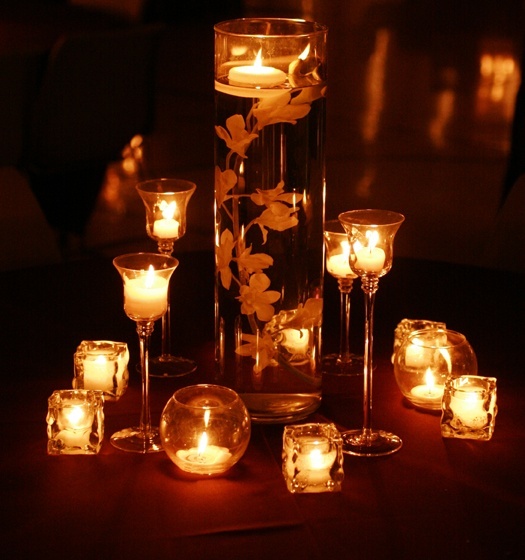 A person can never go wrong with a candle centerpiece. 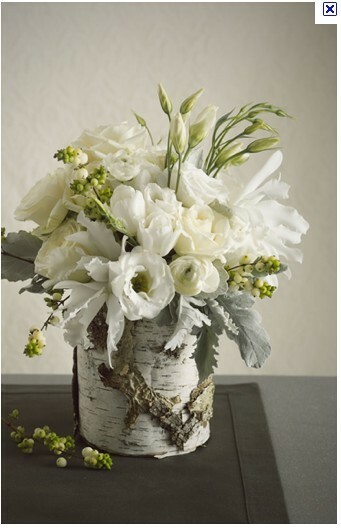 The varied texture and neutral tones give this centerpiece a rustic yet elegant look. 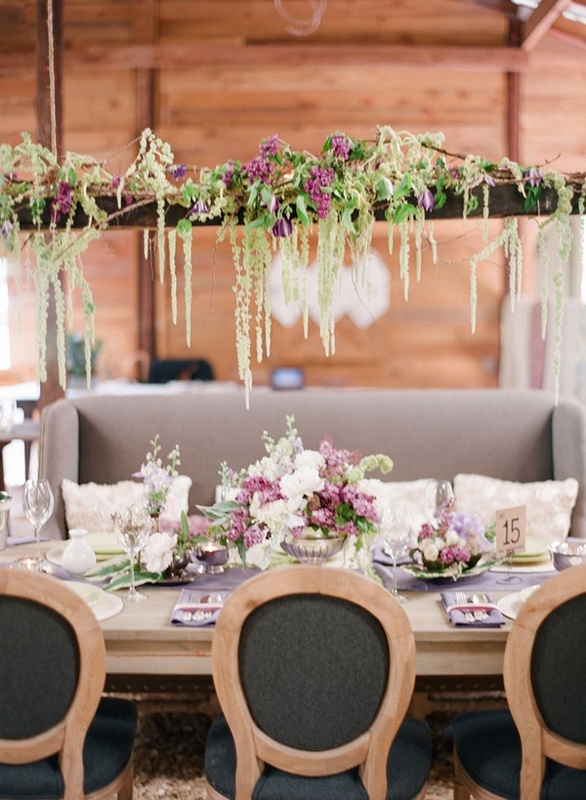 For a barn or outdoor wedding this would be perfect! Simple, elegant and a great way to get two uses out of one thing! Hanging flowers! Everything about this set up is beautiful! Visually and aesthetically appealing; the main centerpiece gives the eye something to focus on while everything around it adds drama and depth. Also, have you noticed the couch in the background for seating? For a couple that loves books, why not?! 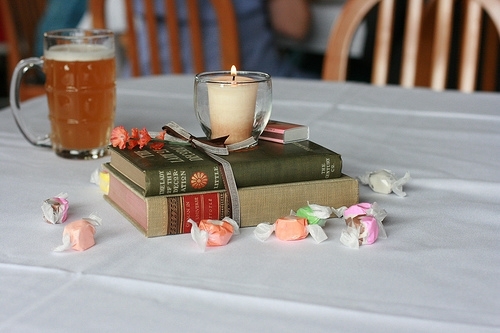 We love the flower detail laying on the books! Sometimes less is more but in this case we think all of the nick knacks are necessary. There are obviously no rules when it comes to centerpieces. A flower submerged in water is unexpected and creative! 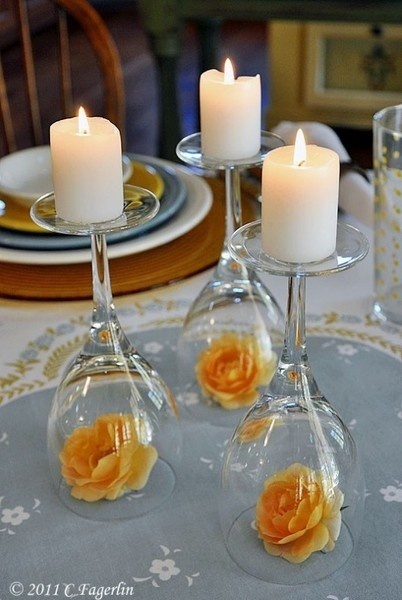 Candles are so versatile! 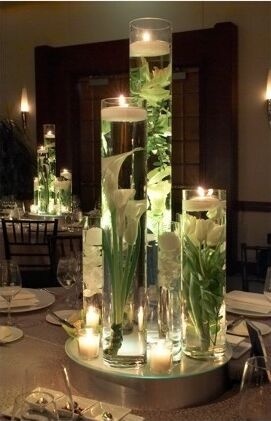 When the lights turn down the romance turns up with this style of centerpiece. Who doesn’t love candy bars? 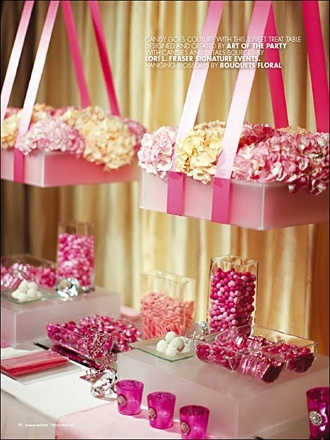 The candy bar in this photo demonstrates a cute way to incorporate the wedding theme colors and with a variety of textures and bowl sizes. 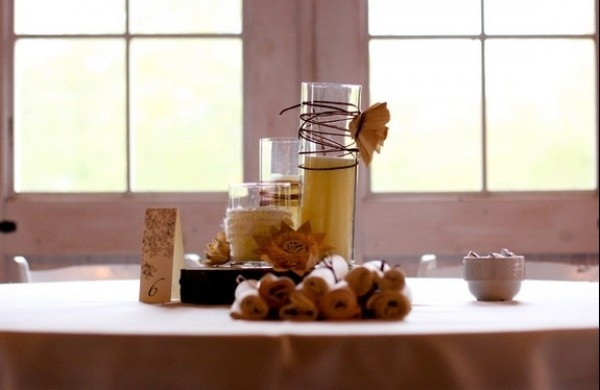 This entry was posted in DIY, Hannah J., Newly Engaged, Planning, Reception and Party, Uncategorized and tagged Candles, Candy Bar, Centerpieces, Creative, Flowers, Hannah J., Ideas, Planning, Reception, Unique, wedding memories, wedding planner by Affairs by Brittany. Bookmark the permalink.